Think the speed of your website doesn’t matter? 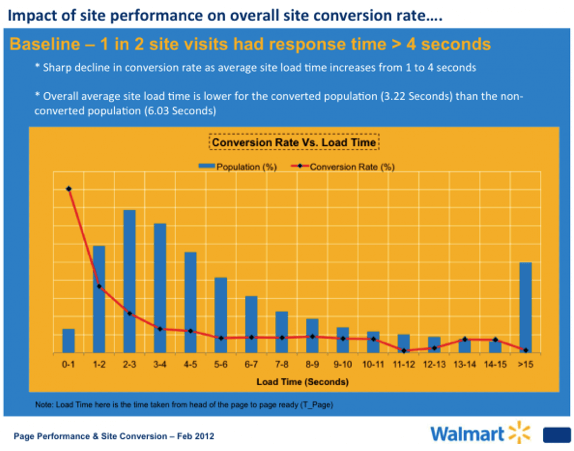 So did Walmart, who found a 2% increase in conversions for every 1 second of improvement. But the average website load speed has increased 22% this year, according to a report by Radware. 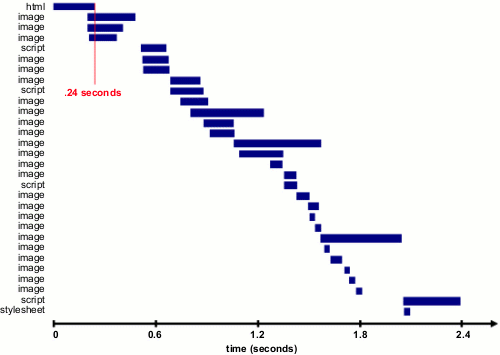 It now takes 7.72 seconds to load—a far cry from the two-second limit of your average user. Clearly, speeding up your website is critical—not just to ranking well with Google, but to keep your bottom-line profits high. So today, I’m going in-depth, sharing 10 things you can do to shave seconds off your site speed and enjoy higher profits to boot. Always remember, when it comes to your website, leaner is better. Pro Tip: Start a campaign to reduce the number of components on each page. By doing this, you reduce the number of HTTP requests needed to make the page render—and you’ll significantly improve site performance. Pro Tip: Read this report by Singlehop, Critical Ecommerce Infrastructure Needs, to learn nine things you need to focus on to keep your site performing well. Yslow – to evaluate your site’s speed and get tips on how to improve performance. Google’s PageSpeed Tools – to learn more about performance best-practice and automate the process. Theurer says that 40-60% of daily visitors to your site come in with an empty cache, so it’s critical that you make your page fast for these first-time visitors. But you also need to enable caching to shave time off subsequent visits. Pro Tip: Read this article to learn four methods for enabling caching. Static resources should have a cache lifetime of at least a week. For third-party resources like ads or widgets, they should have a cache lifetime of at least one day. For all cacheable resources (JS and CSS files, image files, media files, PDFs, etc. ), set Expires to a minimum of one week, and preferably up to one year in the future. Don’t set it to more than one year in the future because that violates the RFC guidelines. To minify HTML, you can use PageSpeed Insights Chrome Extension to generate an optimized version of your HTML code. Run the analysis against your HTML page and browse to the ‘Minify HTML’ rule. Click on ‘See optimized content’ to get the optimized HTML code. JPEG is your best option. PNG is also good, though older browsers may not fully support it. GIFs should only be used for small or simple graphics (less than 10×10 pixels, or a color palette of 3 or fewer colors) and for animated images. Once you’ve got the size and format right, make sure the code is right too. In particular, avoid empty image src codes. Pro Tip: Take time to re-size your images before uploading them. And always include the src attribute with a valid URL. To ensure your images load quickly, consider adding the WP Smush.it plugin to your website. In general, an external style sheet is preferable, because it reduces the size of your code and creates fewer code duplications. CSS Delivery Tool – Tells you how many external stylesheets your website is using. Instructions for combining external CSS files. 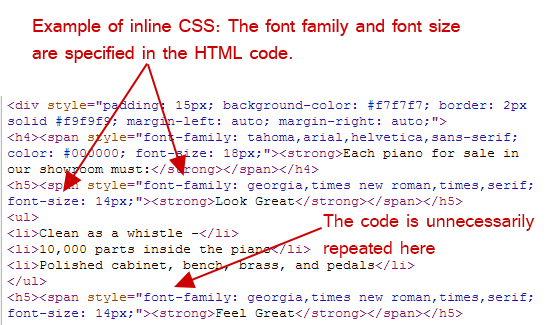 Avoid including CSS in HTML code, such as divs or your headings (like the inline CSS pictured above). You get cleaner coding if you put all CSS in your external stylesheet. Pro Tip: Consider splitting your CSS into two parts: a short inline part that styles above-the-fold elements, and an external part that can be deferred. Pro Tip: Deactivate and delete any unnecessary plugins. Then weed out any plugins that slow your site speed. Try selectively disabling plugins, then measuring server performance. This way you can identify any plugins that harm your site speed. Include the <link rel=”alternate”> markup in your desktop pages to identify the mobile equivalent URL so Googlebot can discover your mobile pages. Sound too technical? Don’t worry. This post by VerveSearch helps you navigate your switch to a mobile-friendly website without compromising speed. Some of these tips are easy to implement, but a few are advanced tactics that can be intimidating if you aren’t technically inclined. If you like digging in and doing it yourself, Google Developers has useful information that can help you improve site performance. For a done-for-you solution, consider a fully managed server like SingleHop. Now it’s your turn. Have you come up with a unique way to speed up your website? Share your tips below. Resident Evil 7: Biohazard - or was that Resident EVII? - is now definitely a thing, but it’s not exactly the thing we thought it would be. It’s first-person, it looks like it’ll actually be a survival horror game and the whole thing will be playable in VR - though thus far the goggle-friendly component has only been confirmed for the PS4 release. Those departures aside, it’s still a Resi game, so expect zombies that still really, really want to eat your brains. Capcom announced the forthcoming Resi title at E3 2016 with a murky trailer and some gameplay torn straight from the game’s demo, which is currently playable now on PS4 for PlayStation Plus subscribers. Exact details about the game’s setting, story and gameplay remain scarce, but the 15-minute demo (one of those replayable ones that fans will be poring over for clues until release) seems to confirm this is Resident Evil going back to its roots. From what we’ve seen at E3 and the subsequent deluge of information that has followed, here’s everything we know about Resident Evil 7: Biohazard. The best news of Capcom’s E3 reveal was a release date, which means you’ll be able to slowly creep around a derelict mansion and hide from zombies as soon as January 24, 2017. Alongside that release, the game will also be launching as a full VR experience for PlayStation VR, though support for other devices like the Oculus Rift and the HTC Vive have not been announced. From the game’s trailer and demo you would be forgiven for thinking you were watching a reveal for one of Frictional’s Amnesia titles or the now cancelled Silent Hills game. All the key bits are there: a helpless protagonist, rummaging through a creaky abandoned building, a dim and blinking flashlight. Judging by the demo, the gameplay is certainly horror, but we’ve yet to see anything of the survival sort - its nothing like what we'd expected. The first-person perspective is a big shift for the franchise too, and it’s bound to have a significant impact on the game. For starter’s that first-person perspective means we’re definitely going to have some jump-scares coming our way, but it might also fix some of Resi’s most persistent problems where playability, camera control and movement are concerned. In an interview with Masachika Kawata, producer at Capcom Japan, we were told that the demo was only a “tonal preview” of the final game and that “you will definitely feel you’ve had a Resident Evil experience” after playing the final release. Here’s hoping that means guns and herbs aplenty come January. A dilapidated plantation mansion in America’s deep south - it’s an interesting new setting for the franchise, but by far its biggest draw is the notion that players will be restricted to just that area. The likely result of that confinement is a game that’s a whole lot more concise than previous Resi titles. With a small, intricately constructed single setting we’re also hoping for subtle hidden messages littered throughout to discover while exploring the plantation. Thematically, the deep south setting also allows for plenty of horror fun to be had, especially seeing as the crumbling mansion looks like Leatherface himself would feel right at home there. How far Capcom Japan will go into the plantation mansion’s presumed past of slavery is also still unknown. Capcom gave us one wonderful splicing of gameplay and cinematic footage to drool over after the E3 2016 announcement - it’s spooky, maggoty and you can watch it below.